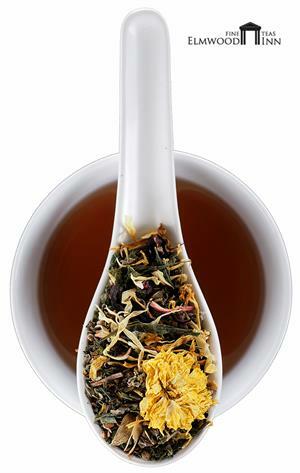 This soothing blend of 80% ayurvedic blood-cleansing and cooling herbs and 20% Japanese green tea is just the right accompaniment to your yoga routine. Designed for fiery temperaments! 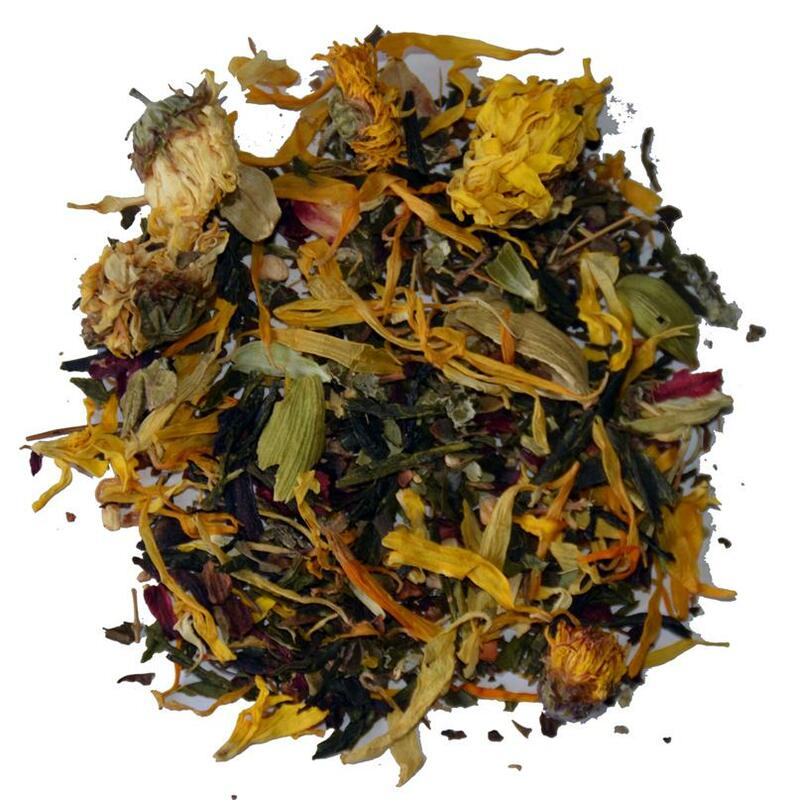 Ingredients: tulsi (holy basil), chrysanthemum blossoms, saffron, marigold petals, green cardamom, hibiscus, peppermint, sarsaparilla, raspberry leaves, lemon and peach natural flavors, and sencha green tea.